Cryozone Health / Cryotherapy / Back Pain Stopped Cold! 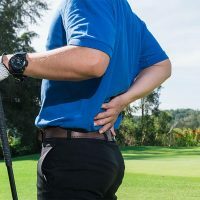 Back pain can be caused by many different factors, and can lead to poor posture, limited movement, soreness, digestive problems, stress, and poor circulation, as well as more serious issues if it is left untreated. Causes such as poor posture caused by disease, pulled muscles and slipped discs can result in an inflammatory response, causing an increase in blood flow to the affected area. This in turn causes swelling as the blood vessels dilate and leak white blood cells and proteins to the cells in the damaged area. Joints and muscles become restricted as a result of this swelling, resulting in lack of movement and an increase in pain. 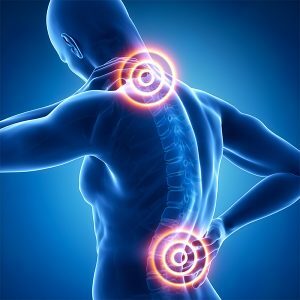 Localised cryotherapy for back pain relief has been used for decades in the form of the application of ice or cold packs to the affected area. The application of cold causes blood vessels to constrict, reducing blood flow and alleviating the pain and swelling in the inflamed area. In recent years however, studies have shown that regular whole-body cryotherapy can significantly improve chronic back pain and mobility in sufferers, and the treatment is becoming more and more popular with both athletes and those seeking better recovery and pain relief. The extreme temperatures in the chamber cool the entire body at once, causing a stronger response to pain and inflammation. Blood vessels constrict, decreasing blood flow to problem areas, which in turn reduces swelling. The analgesic effect of this cold treatment, combined with the endorphins released as a result of being in the chamber, can significantly improve pain and mobility. 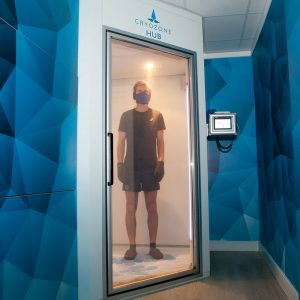 When using our cryochamber on a regular basis, our customers have experienced significant and life changing pain relief for a variety of different conditions and diseases. Steve Wall, for example, had suffered with chronic back pain for more than ten years before starting in the cryochamber at Cryozone Health. With a prolapsed disc, an irreparable S1 sciatic nerve and a damaged left shoulder, Steve had lived for many years with the pain as a constant presence. “I got to the stage where I no longer felt painkillers were doing any good (only opiate based painkillers helped, and they just made me feel ill in other ways). A friend of mine happened to mention that he had started having sessions at Cryozone Health and they had already made a very positive impact on his ability to be able to play polo without any pain. So, feeling more than a little sceptical, I turned up for my ‘taster’ session. Two minutes into using the chamber for the first time, I was asked if I could bend as far as I could manage, and cooler air would be blasted into the chamber to stimulate my back. Now anyone that knows me knows I could not bend much past putting my hands on my knees, but I started to bend and stopped when I put both my palms on the floor! I felt no pain and by now I was completely astounded by how I was feeling, when all too soon Steve counted me down five seconds and opened the door to let me out. I haven’t touched any painkillers since starting my sessions and I feel amazing. I feel fitter, dare I say younger, my appetite has reduced, and my sleep pattern has improved vastly – I have no dreams or nightmares caused by my PTSD. I can climb on and off horses, work on our smallholding, you name it, I can do it, all with no pain at all. For more information on how cryotherapy can help you, please get in touch.